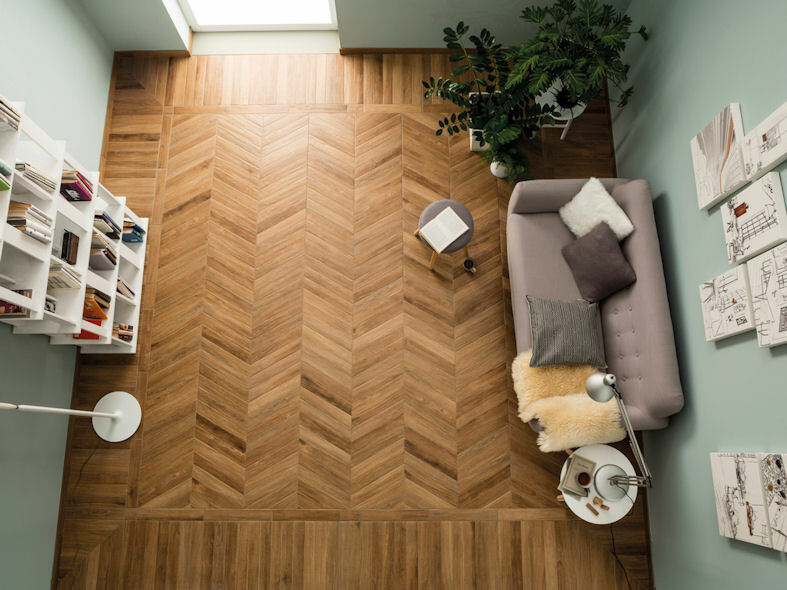 Inspired by ancient wooden floors laid in a herringbone pattern, Vintage even surprises the most discerning lovers of beauty. 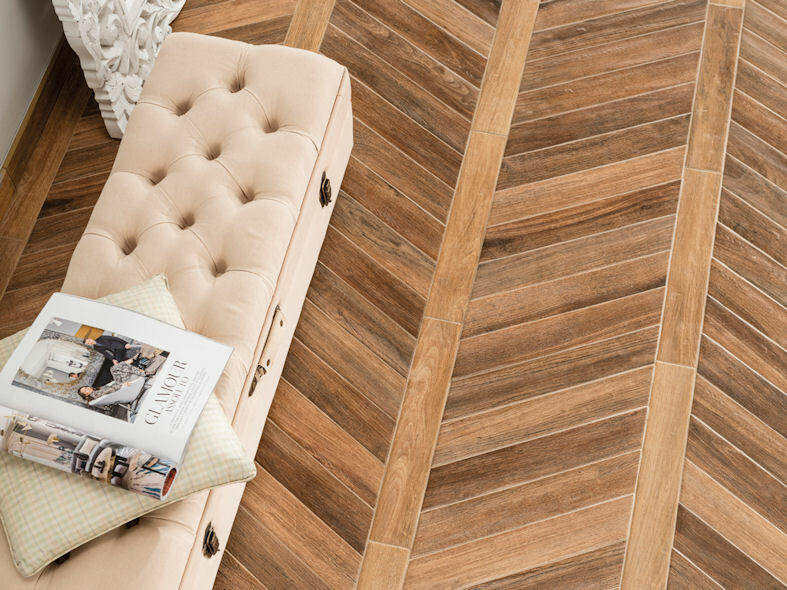 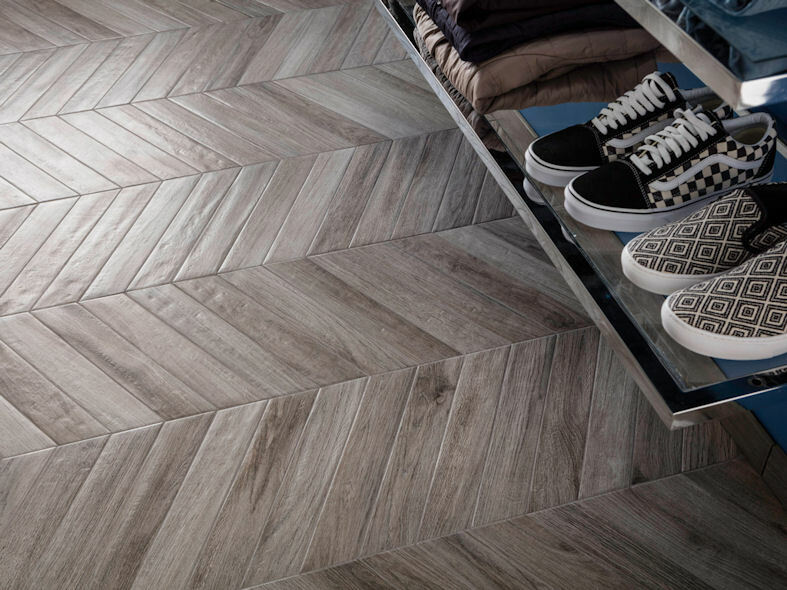 The new collection in wood-effect porcelain stoneware features gnarled, irregular and vibrant surfaces. 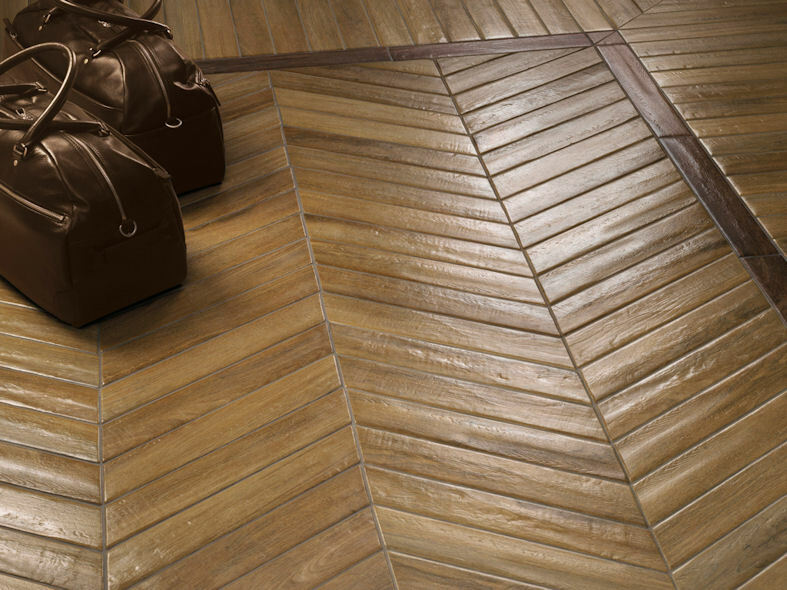 The only thing missing is the scent of wood to experience the pleasure of walking on the floor of an ancient home. 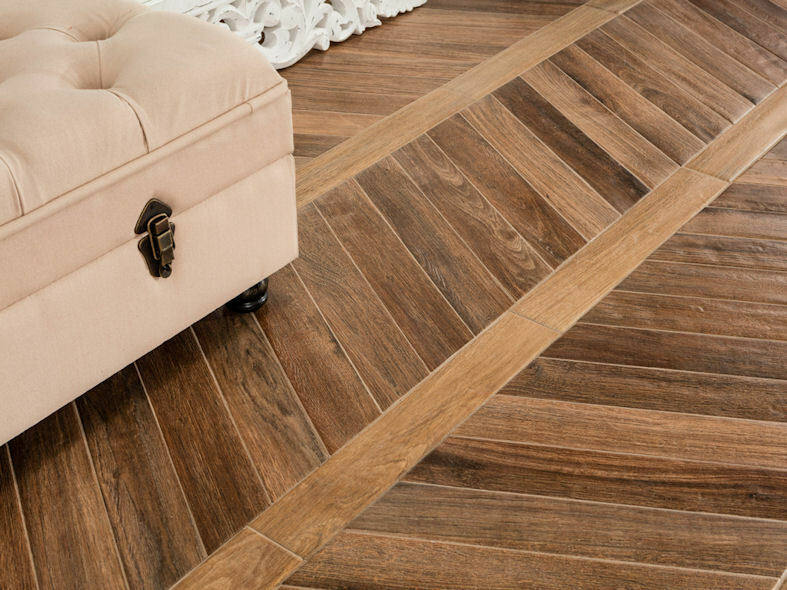 The lightweight structure gives the stoneware the timeless beauty of antique wood, weathered to perfection. 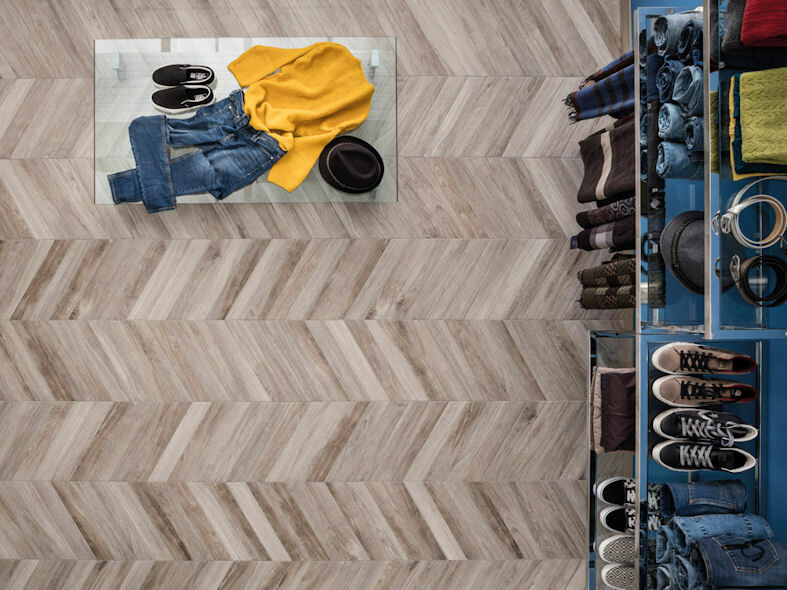 A new charm is added to the floors in three different colour shades - Cendre, Brune and Doré - enriched with beautiful hues and veining. 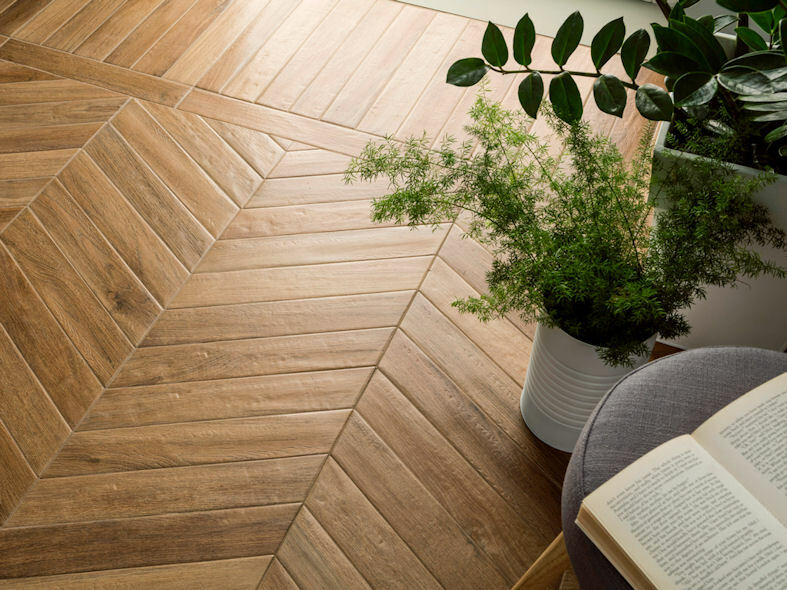 The new collection in wood-effect stoneware is embellished by the new Chevron format of 7.5x40.7 cm, an optional component to create herringbone floors, traditionally found in period homes. 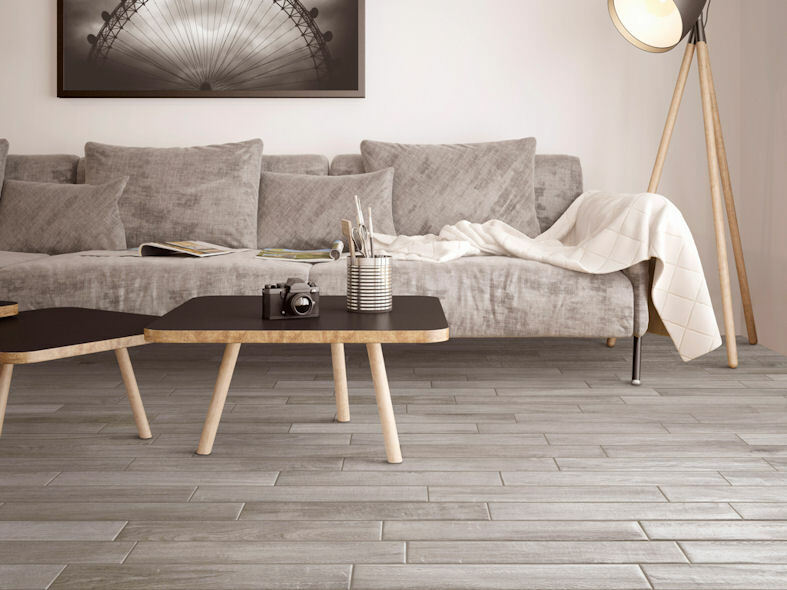 The collection is completed with the 7.5x45 format where the action of light reflects on the ceramic surfaces to produce authentic vibrations that make the material seem alive and natural, while having all the mechanical virtues and features of stoneware. 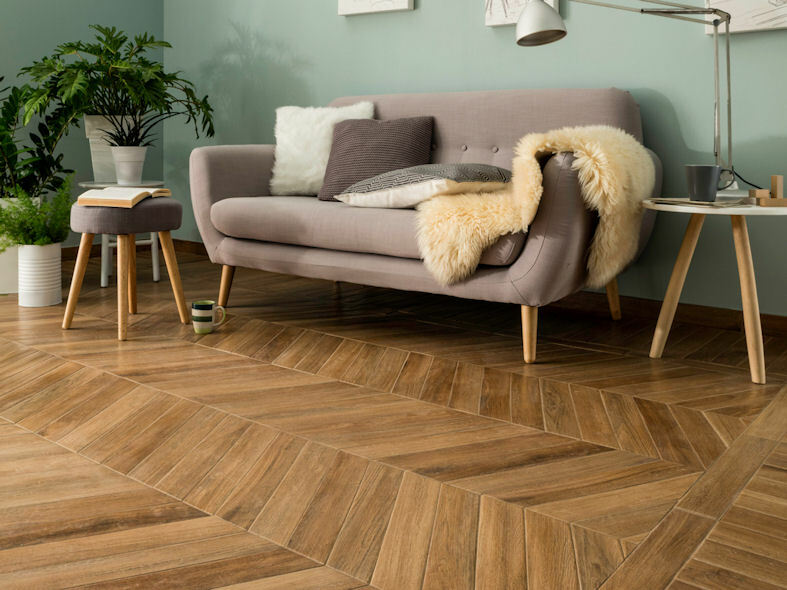 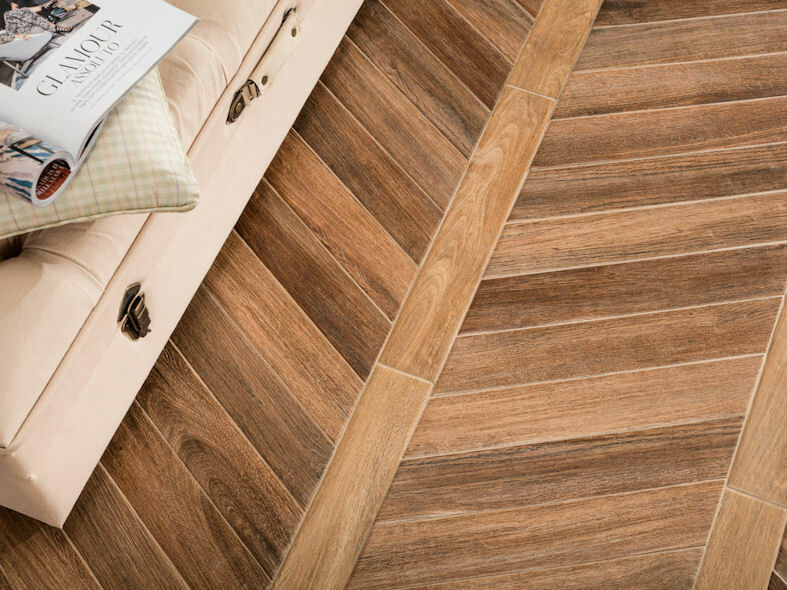 These qualities make the Vintage collection the perfect tiles to create exciting and captivating settings, and to decorate the bedroom, living area, study, large dining rooms, elegant and welcoming spaces.